In the New York Times bestselling tradition of Linda Lael Miller and Diana Palmer, comes the second book in R.C. Ryan's new series about the Malloy brothers, Montana ranchers who find love while uncovering the dark secrets of their past. Luke lifted a hand to the corn silk strands dancing around her cheeks. She actually gasped as he leaned close. “Just so you know, I’m going to kiss you, Ingrid.” His arms came around her and he gathered her close. He’d known her lips would be soft and inviting. Had known it from the first time he’d looked at them. But he wasn’t prepared for the taste of her. Sweet, yet tart. So strong, and yet he could feel the way her breath hitched, alerting him to her unease. All woman, and yet fighting it. She kept her hands at her sides, refusing to give him any encouragement. “I won’t do anything you don’t want me to do. So don’t be afraid.” He spoke the words inside her mouth. She responded with a soft purr in the back of her throat. For the space of a heartbeat he could feel her relax in his arms as she gave herself up to the moment. A burst of heat shot through Luke’s veins. His heartbeat was thundering, keeping time with hers. He changed the angle of the kiss and took it deeper, until he could actually feel the fire. The ground tilted beneath his feet, and he knew he was losing control. He hadn’t meant to take it this far. None of this had been planned. He’d merely wanted to kiss her and tease her a little. But now, too late, he realized that one taste of these lips would never be enough. Luke Malloy is the classic middle child. Adventurous, witty, hardworking, reliable, and free-spirited. 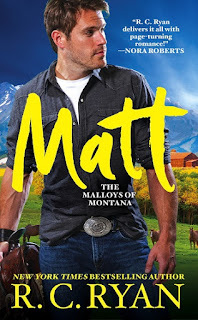 Growing up on the Malloy Ranch, Luke couldn't have asked for more, except for his parents to have survived the car crash that killed them when he was ten, leaving him, older brother Matt, and younger brother Reed to be raised by their grandparents. It’s clear that Luke loves his grandparents, but there's a longing inside him that wonders if maybe his dad would have understood his need to walk the unbeaten path. Luke also likes to champion the underdog and that's exactly what Ingrid Larsen is. Ingrid found Luke unconscious, high in the mountains, and lugged him home and out of the storm. 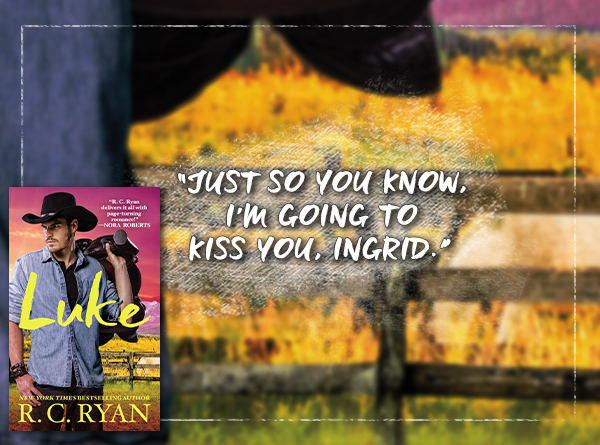 In repayment of her kindness, Luke stays at her family's ranch doing chores and getting to know the quiet and closed off Ingrid. When Luke meets her mother, Nadine, he begins to understand Ingrid and the reasons she has to be the way she is. Ingrid is basically a one woman show. She's running the ranch without the benefit of any ranch hands, dealing with late notices, missing cattle, and potentially no feed for her herd during the winter months. All Luke sees is a gorgeous woman who stands tall and proud. Fearless and courageous in the face of danger. Luke knows that getting Ingrid to like him will take time, but being the free spirit that he is, he knows once he can get Ingrid to play and relax with him, she'll love him in no time. This is the second book in the series – and even though I read book one back in April, and have read hundreds in between, I was immediately back with the Malloys and remembered all the family and their ways. I would highly recommend that you read Matt first, as it will definitely enrich the experience. Luke is a very different brother to Matt, and his rough and ready ways do not really hint at the potential for romance – but read on and find out how he falls! The start is pretty dramatic, and sets up the first meeting between Ingrid and Luke as being more than just a casual encounter. Once Luke's protective, help others streak is awakened, we can only sit back and watch everything unfold. I loved the larger than life characters that we are given, and the bit parts are just as important as the leads in giving us a well-rounded and captivating story. I loved the brothers' grandparents so much last time, so having them back and helping out, was brilliant – and one cannot fail to mention Yancy and The Great One. The writing brings all these people to life and the backdrop of the Montana mountains makes me think of cowboy films and big, open country vistas. These books would definitely convert to film well – although some of the hotter scenes would have to be implied! Oh, and the mystery of the brothers' parents’ deaths was also reopened... so will be interesting to see where that goes next too. Luke and Ingrid are not the usual pairing one might expect, but their romance makes for exciting, happy, and hopeful reading – I definitely recommend it to you. For reviews & more info, check out our stop on the Matt Release Blitz. 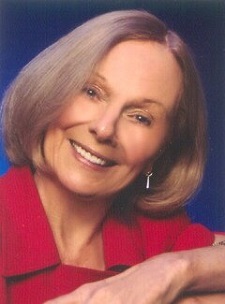 New York Times bestselling author R.C. Ryan has written more than ninety novels, both contemporary and historical. Quite an accomplishment for someone who, after her fifth child started school, gave herself the gift of an hour a day to follow her dream to become a writer. In a career spanning more than twenty years, Ms. Ryan has given dozens of radio, television, and print interviews across the country and Canada, and has been quoted in such diverse publications as the Wall Street Journal and Cosmopolitan. She has also appeared on CNN News, and Good Morning America. R.C. Ryan is a pseudonym of New York Times bestselling author Ruth Ryan Langan. 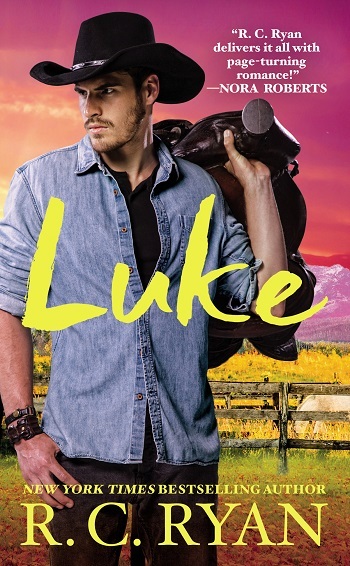 Reviewers on the Wicked Reads Review Team were provided a free copy of Luke (Malloys of Montana #2) by R.C. Ryan to read and review.